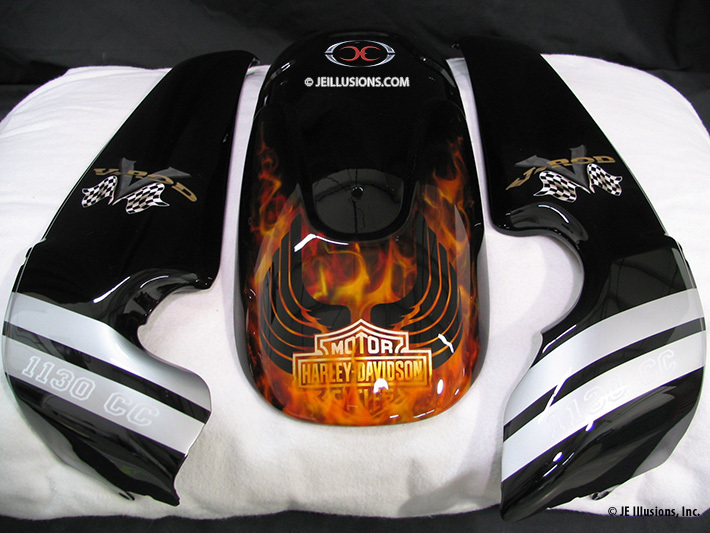 High-gloss Jet Black under-base with a winged Harley-Davidson logo on back fender. 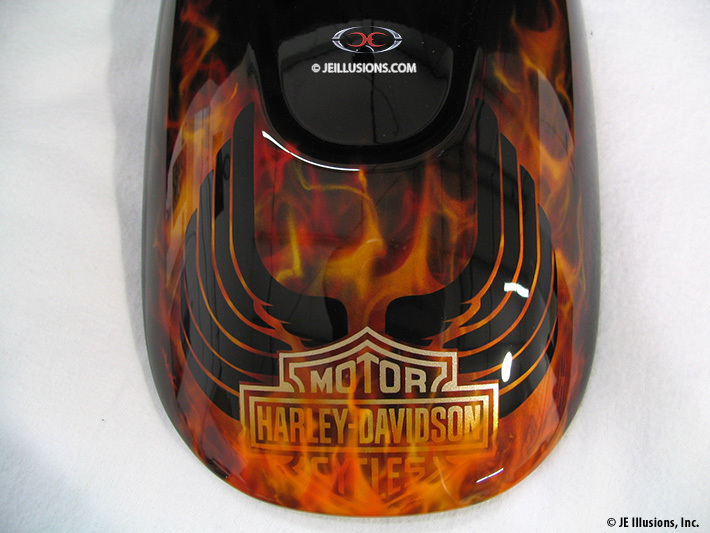 The logo is surrounded by air-brushed realistic flames that fade away into the Black. 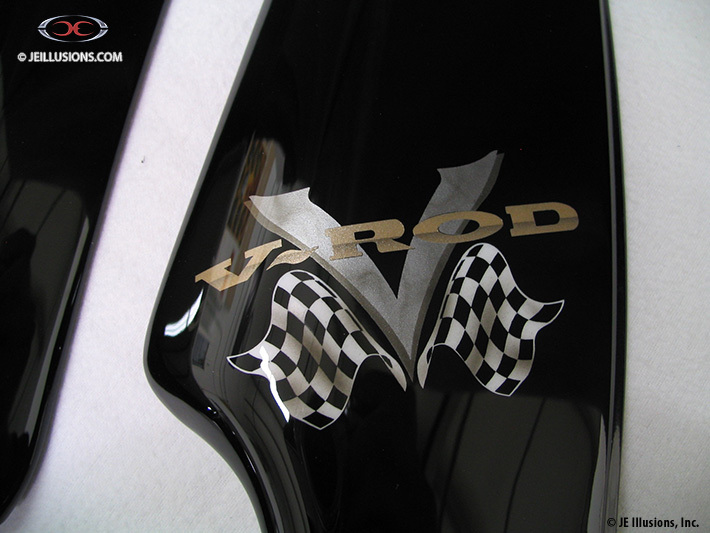 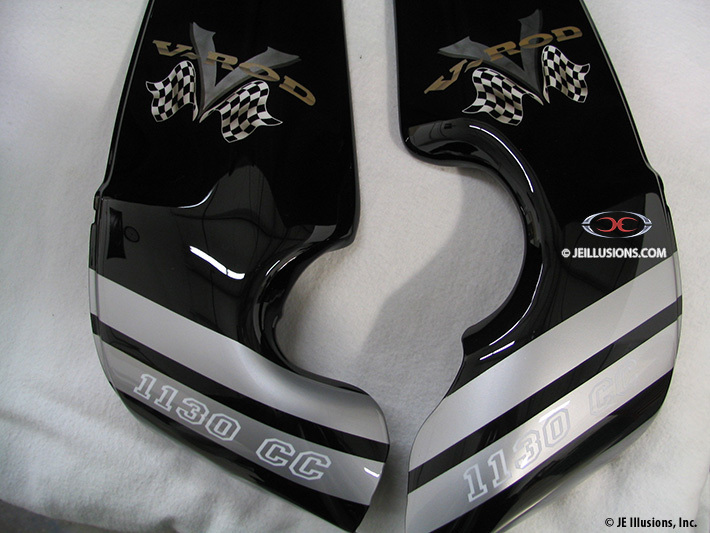 The radiator shrouds have pearl Silver stripes with 11300 CC pinstriped in White, along with the V-Rod, race flag logo airbrushed over the Black.